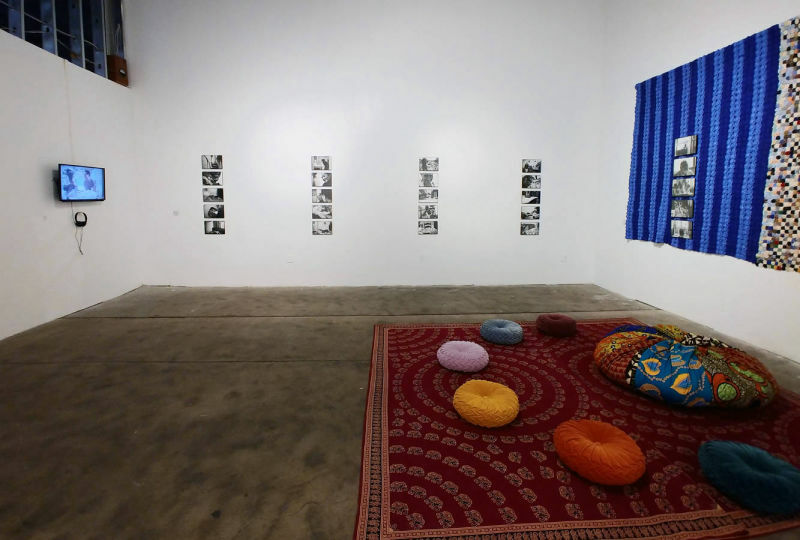 After three years of research, interviews, and artwork production, the first FUXICO exhibition was installed at Plaxall Gallery in Long Island City thanks to the generous support of LIC-Artists. Beginning with Marinete, Davi Leventhal’s childhood nanny, Davi and Julia Equi used their networks to reach women in two of Rio’s favelas: Vidigal and Rocinha. 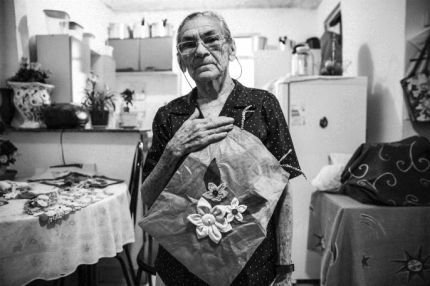 The artists then visited each of the women in their homes, listened to their stories, and created fuxico with them. These are women from Brazil’s Nordeste, who have left their homes to work for families not their own. Favelas got their name from a plant that grows on the hills in the northeast region of Brazil. Following Brazil's Canudos War (1892-1897), where the Brazilian Army fought and decimated a popular socio-religious group, the war veterans were promised land in the hills of Rio de Janeiro. While waiting for the government to fulfill its promise, they converged on the hills around Rio and built temporary shelters out of whatever materials they had on hand. Reminded of their wartime encampments in Bahia, where the thorny favela plant grows, the soldiers named their temporary settlements favelas, and the name stuck. 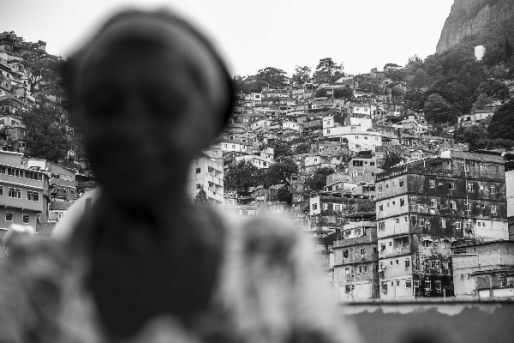 The story of Brazil's favelas is deeply connected to that of slavery within the country. After Brazil abolished slavery in the late 1800s, former African slaves gathered in settlements in Rio, the capital at the time, creating these cities within the city. 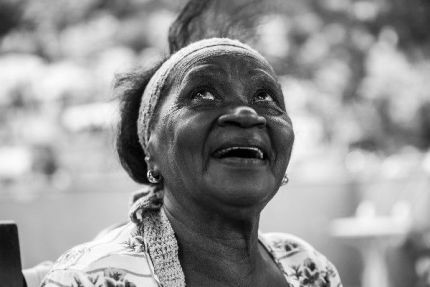 Black Brazilians found themselves pushed further and further out of the city, while industrilization during the 1930s and '40s brought migrant workers to the city in droves. Unable to afford proper housing, they moved into the favelas instead. Due to the dangerous conditions and proliferation of illegal activities within the favelas, the Brazilian government has attempted to control or demolish the favelas multiple times, leading to increased violence and distrust of the government within these communities. Without widespread, meaningful social change, the legacy of the favelas will continue to be unbridled gentrification, destruction, and exploitation. 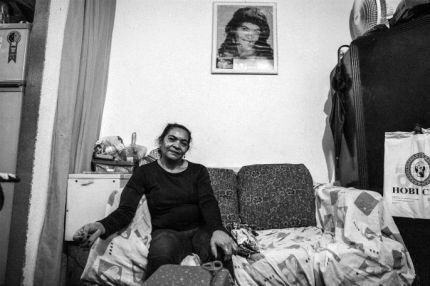 Artists Julia Equi and Davi Leventhal documented the stories of five women in 2016, four of whom lived in Rio’s favelas at the time. In doing so, they explored issues of identity, especially during the buildup to the 2016 Olympics in Rio de Janeiro, which dazzled viewers around the world but also displaced some of the city’s most impoverished residents. 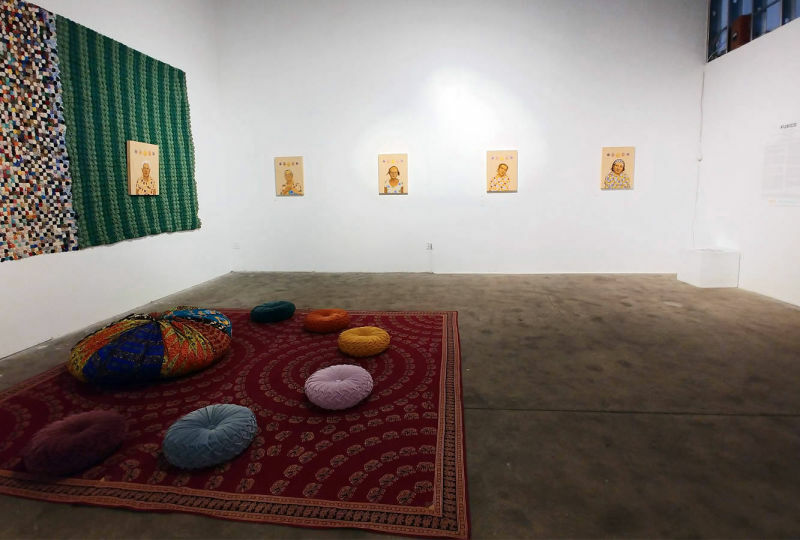 The exhibition included five single-channel videos documenting the artists’ visits with the women who they interviewed, a series of photographs by Julia Equi, and painted portraits by Davi Leventhal. The artists dedicate this project in memoriam to Marinete, an essential participant in this project. 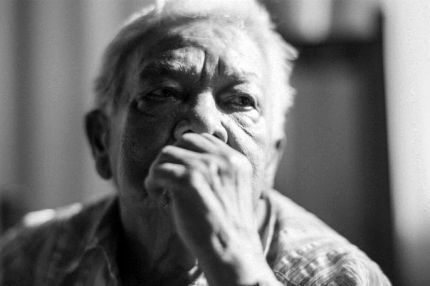 Marinete passed away at the end of 2018 without being able to see or participate in the full presentation of FUXICO. A photographer whose work elevates the ordinary, Julia Equi (b. 1980) creates narratives that reflect the humanity of her subjects. She has lived in Rio de Janeiro most of her life, and works in the film industry. 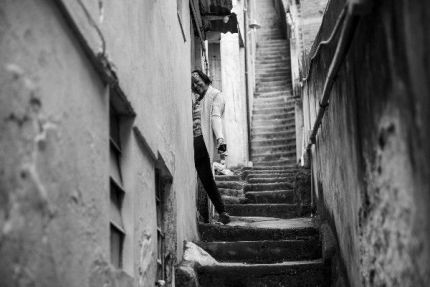 Her work focuses on personal stories, often showcasing daily life in Rio as well as her professional and personal life. When his family emigrated to the United States, Davi Leventhal (b. 1977) was only two years old. He has maintained his connection with Rio de Janeiro through his extended family, returning at every opportunity. Working in various media, Davi manipulates images and their positive and negative shapes to create worlds with both apparent and concealed iconography in an effort to express his particular spirituality. A classically-trained surrealist painter, he creates monumentally intimate works meant to communicate with the viewer on a personal level. 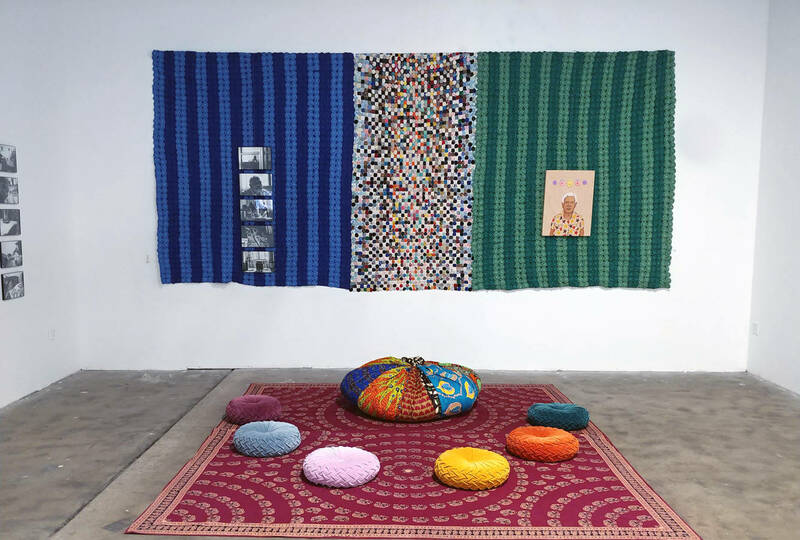 FUXICO was the first artistic collaboration between childhood friends Equi and Leventhal, and examines what it means to be Brazilian in an increasingly global society. Special thanks to all participants (Graça, Ina, Iraci, Maria, and Marinete), Valdete da Silva Oliveira Galdino, and Fernanda Leventhal. All photographs (except for installation views of the exhibition) are courtesy of the artist, Julia Equi.